Honda India, subsidiary of Japanese car manufacturing company Honda Motors is all set to launch Honda Brio in the hatchback segment in the Indian car market on September 27, 2011. As an impact of festive season going to be start in India during next few weeks Honda Motors has adopted strategy of pricing Honda Brio at least price as compared to other cars running in hatchback segment in Indian car market. 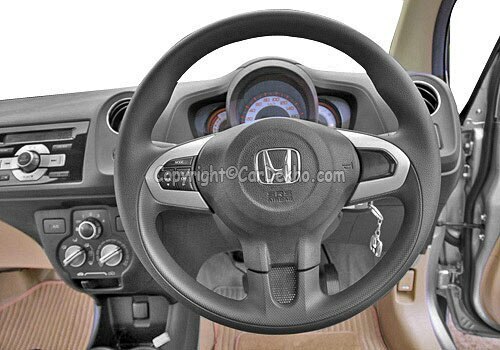 Surprisingly with all preparations ready for launch Honda has still not announced Honda Brio price in India. However it is speculated that as Honda Brio will be launched only petrol variant Honda Motors will announce this new variant with compatible price tag. Honda Brio review depicts that in from every aspect whether it is looks, exteriors, interiors or performance Honda Brio will place tough competition to its well established contenders viz., Hyundai Motors’s Hyundai i10 and Hyundai i20, Chevrolet Beat from Chevrolet, Volkswagen’s Volkswagen Polo, Maruti Swift from Maruti Suzuki India Ltd and Ford Figo from Ford. The upgraded version of Honda Brio is enriched with length of3,610 mm, width measuring 1,680 mm and with total height of 1,485 mm. Honda Brio review also infers that new version of Honda Brio will prove to be more fuel economic with an average of 18.4 kmpl. Honda Brio is equipped with same 1.2 litre i-VTEC petrol engine as installed in its sibling Honda Jazz. But it suffers from a minor drawback as far as power generating is concerned. Engine installed in Honda Brio churns the maximum power of 88 bhp @ 6,000 rpm and 109 Nm of torque @ 4,600 whereas engine equipped in Honda Jazz generates the power of 90 bhp power @6,200 rpm and 110 Nm of torque@ 4,800 rpm. An impressive feature which is worth mentioning while discussing Honda Brio review is that it is designed 100 kgs lighter than Honda Jazz. Therefore those who regard Honda Brio as copy of Honda Jazz should read Honda Brio review seriously because as compared to Honda Jazz it is equipped with various remarkable features that makes it different from Honda Jazz and an unique car in its segment.